The APALRC provides legal assistance to domestic violence survivors in Northern Virginia and Maryland. APALRC attorneys provide their clients with a full range of legal assistance – assisting with protective orders; immigration matters, particularly self -petitions under the Violence Against Women Act; and family law, which includes divorce, support and custody issues, etc. In addition to providing legal assistance, APALRC attorneys work with community-based organizations and social service organizations to ensure that their clients receive holistic support. Outreach is also conducted to educate the community about the rights of battered immigrants and the resources available to them. 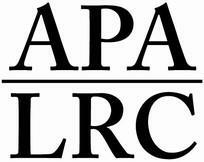 Finally, to support their work, the APALRC has been working to expand the availability of bilingual pro bono attorneys through training sessions; the APALRC initiated a training program for pro bono attorneys interested in assisting clients with immigration self-petitions under the Violence Against Women Act.